The first version of this project is ended. With this version the childrens can program the LearnBot of similar form to Scratch. Run the code with of LearnBlock. Can will use variable in the code. Can save and open the project saved. Can add new block for program the LearnBot with visual form. With this version the learnblot can’t program text form. How program with the visual form? For, program with the visual form the user should create a block “main”. His code should be inside of the block “main”. How run the visual code? For run the code, the user should be conected with LearnBot or run of LearnBot simulator (rcis simulator by RoboComp). The user can run his code from application. For use a variable in the code, the user should declare a variable. These variables can use as params of a block. Also, the user can delete a variable of his code. 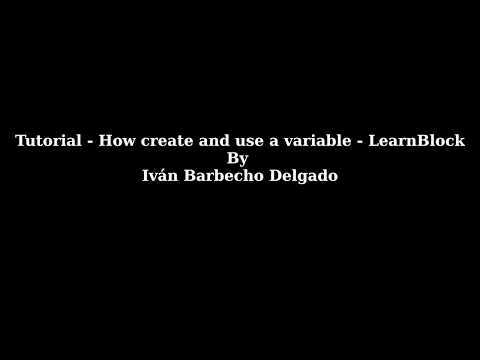 In the next video show a example for use a variable in the code. How save and open project? The user can save a project and he can load a project saved. For append a new block to visual form, the user should complete the next form. The user can selected diferents blocks and add difrents variables. With this code the LearnBot follow the red lines. Improvements for the following versions. With the following versions the childrens can program the LearnBot with a DSL. This DSL is the project of my partnet of GSoC. When he will finish this DSL, I could add the text form to program the LearnBot. Other improvement is program event in the code of LearnBot.